Some weeks ago having lunch at the Frontküche I saw a flyer or was it a sticker of the Boxwerk. Checking their website I decided that I have to train there soon. 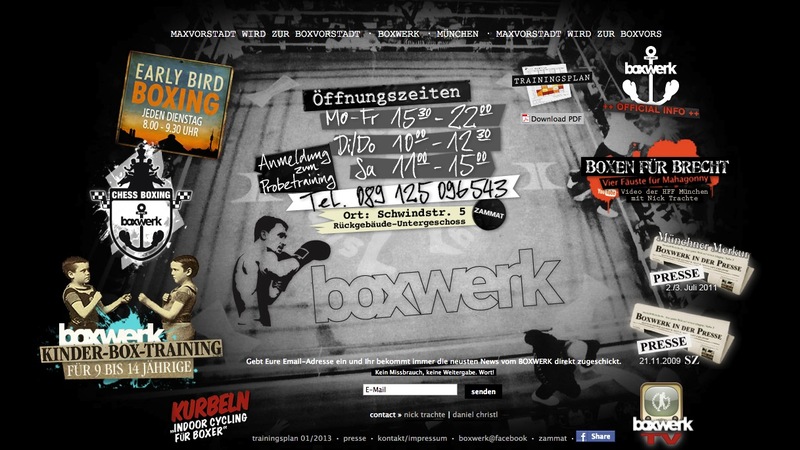 The Boxwerk logo, their “cultural” approach combined with boxing and the whole concept which stands behind this club seems to be very interesting and well rounded. Can´t wait to see it in real. This entry was posted in Videos and tagged boxing, boxwerk münchen, http://www.youtube.com/watch?v=_spF7FOxcBY, munich, training on 16. March 2013 by Alex.